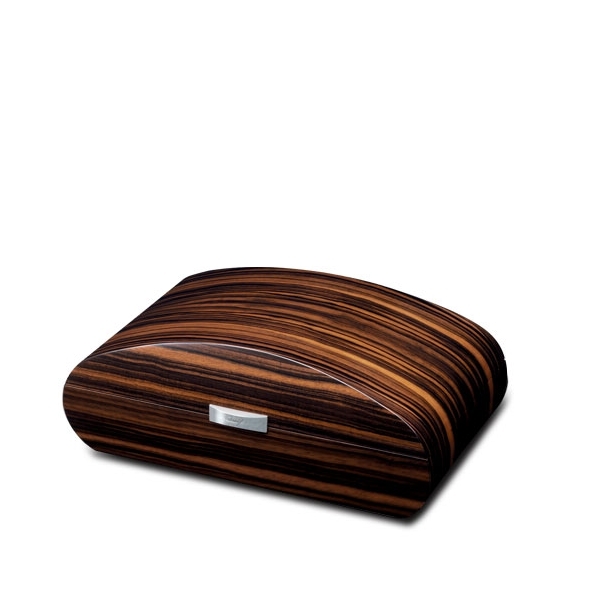 The unusually curvaceous shape of these humidors is accentuated by the use of choice, long-grained veneers of Macassar. 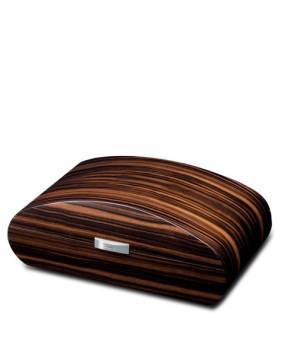 Davidoff humidors have long been famed for their exquisite design and workmanship. The Davidoff Dome humidor has once again set a new standard - thanks above all to the modern design and timelessness of the vaulted lid. The manufacture of such a box - made of solid mahogany - requires both consummate craftsmanship and know-how. Fitted with a removable tray containing three dividers. Both the hinges and lid lift bear the Davidoff logo and are plated with Palladium.